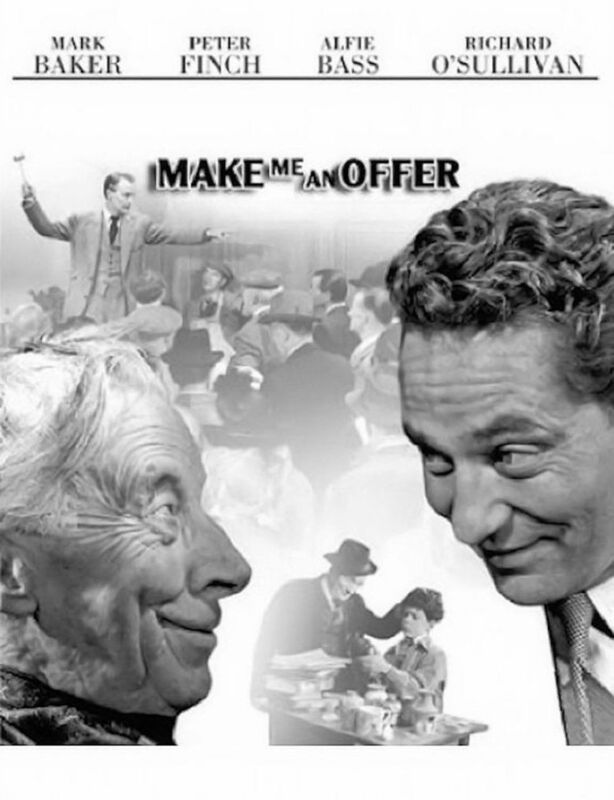 Make Me an Offer is a 1954 Eastmancolor British comedy film directed by Cyril Frankel and starring Peter Finch as an antique dealer. 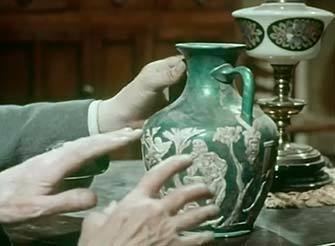 On a childhood trip to the British Museum, young Charlie (Richard O'Sullivan) falls instantly in love with the Portland Vase, and his passion for it leads to him eventually becoming a dealer in English pottery. He sees a newspaper cutting that describes the theft, 50 years before in 1886, of art treasures, including a perfect green Portland Vase created by Josiah Wedgwood in 1783. 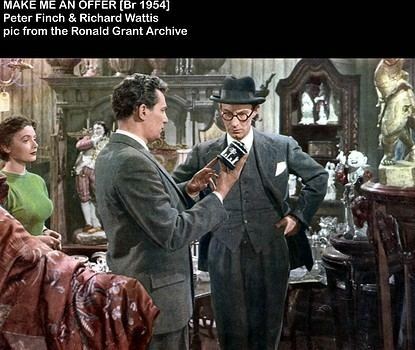 Years later and struggling in his profession, Charlie (Peter Finch) learns of a room full of Wedgwood in a country mansion up for demolition. Lacking funds, he turns to Abe Sparta, a successful businessman and the owner of the house in which Charlie, his wife Bella and their two children live. He takes the train to view the contents before the auction of the mansion's contents. To his great disgust, Charlie finds only French fakes. When Nicky, a pretty if absentminded redhead, walks to the neighbouring cottage, Charlie follows. He purchases a worthless porcelain piece from her, just because she needs two pounds. She invites him to look around to see if he might find something of value. Nicky is looking after Sir John, an aged relation with a wicked reputation. Charlie conceals his astonishment upon spotting two of the art objects stolen along with the vase. Then he finds the Portland Wedgwood vase gathering dust in the attic. Charlie offers Nicky £10 for it, but she wants £100 for a fur coat. He reluctantly agrees, but she refuses to accept a cheque. Charlie arranges for other bidders to come to the auction, including Wendl (a long-time bitter rival of Sparta's) and Armstrong and Armstrong's American clients, Mindel and Sweeting. At the auction, Charlie starts playing off the three bidders against and with each other, to his great profit, obtaining enough in this underhanded way to pay Nicky. 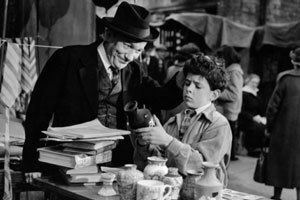 When she demands £150, however, Charlie goes to Sir John and persuades him to commit the first good deed of his life and give him the vase for nothing (the rightful owner having died and left no heir). Charlie does give a delighted Nicky the promised £100 anyway. With some of the rest, Charlie finally buys his wife a long-promised fur coat. 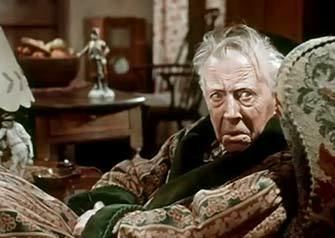 TV Guide dismissed the film as "About as much fun as watching a grandfather clock"; whereas Sky Movies called it an "Engaging comedy," with an "amusing script," concluding, "Far from least, there's that splendid veteran Ernest Thesiger, here as a great-great-grandfather whose past life has not been exactly without reproach...". Bosley Crowther, the critic for The New York Times described it and another film on a double bill as "unpretentious British comedies."